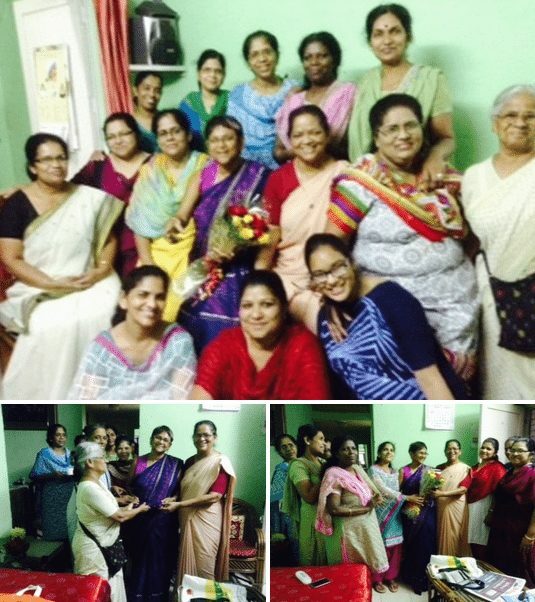 Members of NHMNAA ( Nazareth Hospital Mokama Nurses’ Alumni Association) in Delhi gathered on the eve of the Feast of St. Vincent de Paul to felicitate Dr. Philomina Joseph, (middle, dressed in purple) the first alumna to get a doctorate in Nursing. It was a proud moment for all to be with her and share her joy. Philomina shared with the group about the challenges and the struggles as well as the encouragement and support she received at each step from faculty and coworkers which helped her to achieve the degree. She expressed her gratitude to the Sisters at her alma mater, the teachers and colleagues who rendered a helping hand at each step in her nursing career. Philomina is a professor at the College of Nursing in the All India Institute of Medical Science Delhi.